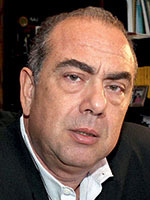 Markos Kyprianou is a former European Commissioner as well as a former Minister of Foreign Affairs and Minister of Finance of the Republic of Cyprus. You may follow him on Twitter @KyprianouMarkos. Mesogeios in Greek, or “Mediterranean” from Latin. The Mediterranean Sea was the cradle of many great empires. 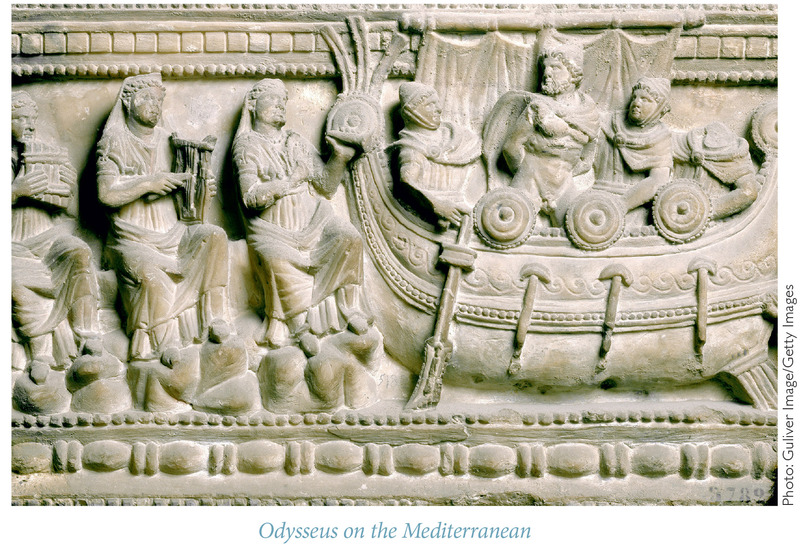 The Greeks, Romans, and Byzantines, and later the Arabs, Ottomans, British, and French, all counted on its safe and open sea routes as a critically reliable means of communication and transportation. Despite the primitive means of naval travel at that time, it was still safer and faster to travel by sea than to take land routes and face the dangers and risks that lay in wait. It was not only people and goods that traveled by sea, but also art, science, and culture. The Mediterranean’s large port cities were the birthplace of new ideas, as well as venues for the interaction of different civilizations. Even religions crossed the sea, carrying new messages of the fight between good and evil, whilst spreading teachings of salvation.But the sea also created risks. A cause for vulnerability and exposure to invaders, enemies, or pirates who would conquer, pillage, kill, and rob. Whether it was the mysterious People of the Sea mentioned in the Bible, the Greeks attacking Troy, the Romans destroying Carthage, Catalans sacking the holy mountain of Athos, or Napoleon invading Egypt, the Mediterranean was also the route for invasions, attacks, and wars. From Homer’s Odyssey onwards, it has been linked to glorious days of culture, science, philosophy, and trade, but also to the dark pages of history infested with wars, invasions, and destruction. The same applies today. Indeed, the history of the peoples and countries along the shores of the Mediterranean has been heavily influenced by geography. But to what extent may we talk today about a “shared” or “common” Mediterranean cultural, economic, and political space? And what are the threats and challenges faced by the countries and societies on the diverse shores of the Mediterranean? The establishment of a shared political, economic, and social space for the European Union and its Southern Mediterranean neighbors still remains elusive, despite the efforts that began in November 1995. That was when the foreign ministers of the European Union and their counterparts from Algeria, Cyprus, Egypt, Israel, Jordan, Lebanon, Malta, Morocco, Syria, Tunisia, Turkey, and the Palestinian Authority met in Barcelona to discuss an economic, social, and political collaborative project. The result of this conference was the Barcelona Declaration, which set down three different pillars, or partnerships. The first was a Political and Security partnership aiming to establish a common area of peace and stability. The second was an Economic and Financial partnership with the purpose of creating an area of shared prosperity. Finally, the third partnership was in social, cultural, and human affairs, with the aim of promoting understanding between cultures and exchanges between civil societies. It has often been stated that the Barcelona Process eventually became a political victim of the Israeli-Palestinian conflict, greatly diminishing its work output. This may indeed be true. We should not, however, neglect the fact that the Barcelona Process faced two other suspensory factors. Firstly, the three pillars of the Barcelona Process were not equally strong: the economic and trade pillar was solid, while the other two were not well-structured. Secondly, the governments of the southern partners, in the pursuit of their own national agendas and interests, placed greater emphasis on the economic and trade partnership while sidetracking the other two. In 2004, the European Union launched its European Neighborhood Policy (ENP) as an arrangement between the EU and each partner country in its neighborhood. The ENP was designed as a strategic framework for cooperation, with the EU offering its neighbors a privileged relationship based on democracy, human rights, the rule of law, good governance, market economy principles, and sustainable development. The main instruments of this cooperation under the ENP are the bilateral Association Agreements between the EU and these partners. These treaties pursue political coordination and deeper economic integration, increased mobility, and people-to-people contacts. The Eastern Partnership and the Union for the Mediterranean were meant to complement and enrich the ENP. In 2007, the idea for a Mediterranean union surfaced. This was not a natural progression of the Barcelona Process, nor the outcome of a lessons-learned exercise from the European Neighborhood Policy experiences. In fact, it was a campaign slogan of Nicolas Sarkozy for the 2007 French presidential election. It advocated a Union of the Mediterranean, modeled on the European Union, with a shared judicial area and common institutions for states on both shores of the Mediterranean Sea. Through this idea, Sarkozy aimed to catch two birds with one stone. Sarkozy saw Turkish membership in the Mediterranean Union as an alternative to Ankara’s membership in the European Union; he also considered the proposed Union a forum for dialogue between Israel and its Arab neighbors. What started as a possibly plausible idea soon became bogged down by diverging interests. There were German concerns that the Mediterranean Union risked splitting and threatening the core of the EU. Also, in tandem with the European Commission, Germany and other EU countries objected to EU funds being used on projects that would include only a small number of Member States while also not having a substantive say in its governance. Furthermore, there were vocal concerns aired by many in the EU that the French idea would duplicate the structures of the Barcelona Process, thus reducing the effectiveness of EU policies. In February 2008, France’s then Minister of State for European Affairs, Jean-Pierre Jouyet, said that “there is no Mediterranean Union” but rather a “Union for the Mediterranean,” which would only be “completing and enriching” existing EU structures and policies in the region—including the EU as a bloc. The difference between “for” and “of” was not just semantics; it marked a completely different political approach to this Union. The Union for the Mediterranean (UfM) was launched at the July 2008 Paris Summit, gathering 43 heads of state and government from the Euro-Mediterranean region. It was presented as a new phase of the Barcelona Process, in continuum, revamped to include new members and an improved institutional architecture, which aimed to increase co-ownership of the process, set governance on the basis of an equal footing, and translate the Process into concrete projects that would make it more visible to citizens. In retrospect, it seems that the overall approach of the European Union towards its southern partners since 1995 (the Barcelona Process, the UfM, and the European Neighborhood Policy) lacked an adequate understanding of the region and its countries, as well as comprehensive strategic objectives. There has also been a prevalent eurocentrism in the Euro-Mediterranean discourse, and a rather naïve effort to “export” European perspectives, approaches, and “ways of doing things” to the EU’s southern partners. But as World Bank governance indicators tell us, there is a stark discrepancy between the two shores. The average EU Mediterranean country ranks close to the top 25 percent of countries worldwide, while the average non-EU Mediterranean country lies in the bottom 35 percent. It would be fair to say that the Brussels approach to Mediterranean partners was designed for long term engagement in a stable environment, and its instruments have not been geared towards the rapid change that characterizes much of the EU’s neighborhood today. In fact, it seems that EU policy is in disarray post-“Arab Spring,” with divergent priorities, such as cooperation in counter-terrorism and the promotion of human rights, which, though not necessarily conflicting, are often difficult to reconcile in practice. Conditionality is also a hotly debated issue when it comes to the EU approach towards its southern partners. Let us take Egypt for example: some EU Member States (particularly the Nordic ones) have a very rigid approach towards the EU’s cooperation with Egypt in the wake of the ejection of the Muslim Brotherhood’s Mohammed Morsi from the presidency by the Egyptian military, then headed by the country’s current president, Abdel Fattah El-Sisi. They also object to the revision of the August 2013 EU Foreign Affairs Council Conclusions on Egypt, which set certain limitations to the scope of relations between Cairo and Brussels. This both demonstrates the great challenge and highlights the recurring question of how to reconcile the promotion of human rights and democracy without alienating a crucial regional ally—in other words, how to engage with constructive criticism on political issues while maintaining close cooperation in other areas, especially security, at a time in which the whole region is in turmoil. This can be sublimated into three questions: Can one compromise on profound European values? Where does the balance between principles and pragmatism lie? Where do you draw the line? Another shortcoming of the EU approach towards its Mediterranean Partners is that the EU tends to overemphasize bilateral relations, overlooking the fact that many of the neighborhood’s problems require a regional approach. At the same time, and perhaps rather surprisingly, the bilateral Action Plans between the EU and its partners were drafted generically instead of being tailor-made to the specificities of each country. Through this generic one-size-fits-all policy, the European Union has been primarily focusing, as I have already argued, on trade and market access. Trade is a much used comparative benchmark for assessing relations between countries or regions. The basic idea is that the deeper the relations between partners, the bigger the trade volume. This also implies, inter alia, the implementation of acceptable standards, the existence of adequate regulatory frameworks, and investor protection mechanisms that render relations conducive to trade. While the numbers project a dynamism in trade relations between the EU and Euro-Mediterranean Partners—a region that represents 8.6 percent of total EU external trade—the relationship appears to be skewed. In 2013, EU imports from the region amounted to €146.5 billion and its exports to the region amounted to €179.5 billion. In 2015, the EU imported less from the region (€133.5 billion) while its exports increased to €185.5 billion. Therefore, while there was a small increase in the trade volume between the two regions, the trade balance has been clearly in favor of the European Union, with an increase of 50 percent to the trade deficit of the Southern Mediterranean region vis-à-vis the EU during the two-year period between 2013 and 2015 (from €33 billion to €52 billion). Indeed, trade has been a main driver for EU engagement with its southern partners, perhaps based on a Eurocentric concept that deeper economic integration brings social and political stability, and, therefore, security. While this model might have been valid for post-World War II Europe, its contemporary applicability to EU relations with its southern partners is of secondary importance, at best. This approach had severe shortcomings. Deepening South-South economic integration should have been a key goal of the Euro-Mediterranean partnership. However, regional economic integration between Southern Mediterranean countries themselves is still limited. Intra-regional trade represents only a small fraction (5.9 percent in exports, 5.1 percent in imports) of the countries’ total trade—one of the lowest levels of regional economic integration in the world. The evident lack of economic and trade integration between the southern Mediterranean partners—despite the existence of important drivers for enhanced cooperation, such as a shared language and culture—denotes a stark political reality. Countries in the region have not sought to promote effective regional political integration. By this I do not mean “integration” in EU terms, but more akin to the likes of ASEAN, which includes an economic growth component as well as a component on the protection of regional stability and a mechanism for the peaceful resolution of conflicts. Has, therefore, the Euro-Mediterranean experiment failed to create a shared political, economic, and social space between the EU and the Southern Mediterranean countries? One should be bold enough to accept the shortcomings of the current approach and its results thus far. At the same time, one should endeavor to assess. in political, and not merely technocratic, terms. the way ahead and what needs to be fixed or rebuilt in order to make this experiment work. Security remains elusive in the Southern Mediterranean. Even as a term or a state of affairs, “security” has different interpretations not only in the region, but also among a diverse range of external stakeholders. For example, and in a non-exhaustive manner, security in Israel is conceived in terms of the Iranian nuclear threat, as well as that of containing the capacity of Hamas and Hezbollah to conduct operations on Israeli soil. The Egyptian government, whose main focus is regime stability, ranks very highly the threat of the Muslim Brotherhood’s political agenda and the expansion of Islamist terrorist cells in the Sinai Peninsula, often not distinguishing between the two. Libya is a failed state, and its internal divisions have rendered the country a migratory highway to Europe for, primarily, sub-Saharan Africans. It has also become an attractive jihadist destination in its own right. Jordan is facing acute challenges from the Syrian conflict, both in terms of jihadist infiltration and, very importantly, social pressures from hosting hundreds of thousands of Syrian (and Iraqi) refugees. Most significantly when it comes to Jordan, many countries in the region and beyond (for example, the United States and the United Kingdom) have a strategic interest in maintaining the country’s stability. As for Lebanon, the notion of security is fragmented into multiple sources of threats, all of which are ranked differently by different Lebanese actors, each depending on their ethnic or religious background. There is a traditional view of Israel as a threat, which provides the raison d’être for Hezbollah, while Hezbollah itself is considered by many in Lebanon (and beyond) as an Iranian proxy whose agenda is primarily Shia and Iranian, not Lebanese. At the same time, Daesh is physically occupying swathes of land in Syria and Iraq, and is engaged in a wide range of criminal activities to finance its operations (selling oil, looting artifacts, etc.). Not all Middle Eastern states consider Daesh and the other Islamic militant groups operating in Syria and Iraq as major threats to their national security. For some Gulf countries and Turkey, for instance, these groups are viewed as pawns in a regional chess game, with the new Syria (and its affiliation to them) as the precious prize. Yet such a short-sighted policy is akin to the proverbial biting one’s nose to spite one’s face. The truth is that once Daesh is defeated militarily—and this is only a matter of time—the Arab states, and especially the Gulf monarchies, will have to face the reality of these militants returning home. In contrast, Daesh and the other terrorist organizations are ranked as top-tier threats by many western European countries. The repatriation of foreign fighters poses a threat to their national security. It is estimated that over 27,000 foreign fighters have traveled to Iraq and Syria since fighting broke out in 2011—of which, around 6,000 are from EU countries—while an estimated 20 to 30 percent have already returned home. Equally crucial is the threat Daesh poses to Europe through the export of its toxic ideology to European youths of Muslim background. The recent terrorist attacks in EU countries, committed by EU nationals who have pledged allegiance to Daesh—even though they have never fought for Daesh in Syria, Iraq, or Libya—means that, for Europe, the threat is now domestic and homegrown. Human security should not be undervalued in the analysis of the hard security considerations of the EU’s Southern Mediterranean partners. There are chronic destabilizing factors in the region—such as economic recession, youth unemployment, limited access to education, human rights violations, and a lack of democracy—that are creating conditions for a continuous perfect storm. Discussing these issues in detail is beyond the scope of this essay. At the same time, the EU’s Mediterranean states, and the EU in general, have a clear national interest in a stable, secure Southern Mediterranean and, more broadly, Middle East and North Africa. Looking southwards, the EU sees its immediate task as stemming the tide of terrorists and criminal networks by enhancing the coherence of its internal and external security policies. It also sees a need to address the humanitarian crises in war-torn and refugee-hosting countries through humanitarian assistance, asylum policies, and development cooperation. The numbers are clear: there has been a sharp increase in the number of migrants attempting to cross the Mediterranean to reach Europe. In 2015, the number of sea arrivals reached 990,000—almost five times the number of crossings during the whole of 2014. Almost 3,700 people are estimated to have lost their lives while attempting to cross in 2015, with 3,500 deaths in 2014. Indeed, the Mediterranean has often become a dark graveyard; a cemetery of lost dreams, hopes and, worst of all, lives—instead of being the route to safety for all those who are fleeing war and the gateway to a better life for those trying to escape poverty and hunger. The EU also worries that old conflicts, such as the Israeli-Palestinian one, continue unabated, and that more recent ones, such as those in Libya and Syria, have rendered its southern flank a zone of instability and a direct threat. Views from the South are divergent. Even the need for cooperation in security—especially regarding counter-terrorism and intelligence-sharing, which might seem rather straightforward—is seen differently in Southern Mediterranean states whose focus might fall primarily on ensuring regime protection. In order to curb migration flows, they might seek from the EU to pump more funds into projects, or perhaps preferential trade terms with the EU. Conversely, they might request exorbitant amounts of cash and other unrelated benefits, like in the recent EU-Turkey deal on refugees. I believe that the priority for the EU should be to seek a comprehensive cooperation framework on security between the EU and its southern partners: a new regional security architecture constructed on equal footing. Of course, this is easier said than done. There is indeed substantial cooperation on security between EU states and southern Mediterranean countries at a bilateral level. And there seems to be an under-the-radar security cooperation between Israel and some Arab countries. The crux of the difficulty is to figure out how to ensure comprehensive cooperation between all regional stakeholders in a conducive framework whose deliberations will neither be derailed by other considerations nor covered in a veil of secrecy. Of course, one needs to have in mind that other international stakeholders, such as Russia and the United States, have strategic interests in the region. However, one needs to ensure that the core variable of such cooperation is aligned with the legitimate interests of the countries directly involved. Security is perhaps the single most important common denominator today, not only between the EU and its Southern partners, but also between the Southern partners themselves (including Israel). Cooperation would be mutually beneficial, absent the political and emotional baggage of the Palestinian issue and intra-Arab rivalries. Such a framework of cooperation should be flexible, without structures reminiscing a formal organization or institution. The initial meetings would perhaps be the most challenging. These could be done at the level of envoys that have political backing without the burden of public opinion—thus overcoming, for example, the obstacle of visible cooperation between Israel and Arab partners. There would be no grand statements or terms of reference apart from, perhaps, an understanding that the principles of international law should be prevalent in this cooperation. In a more strategic perspective, this cooperation could evolve into an effective regional multilateral framework that not only focuses on hard security, but also expands to political issues in due time. This is not an end in itself, or a teleological objective. It is, rather, a possibility—a scenario that could be nourished. Indeed, what the region lacks is effective multilateralism, something that the Barcelona Process, the UfM, and the ENP have not delivered, perhaps because that was not their declared objective from the beginning. What is the conclusion then? Is the Mediterranean an area of common prosperity and creativity—of trade, wealth, and culture—or a source of conflicts, deaths, wars, and refugees? Is it uniting or dividing? Other than its geography, the Mediterranean area is historically, politically, socially, and culturally diverse. Considering it a common space is, perhaps, rather simplistic and naïve. Diversity in this respect is not necessarily a bad thing. Accepting this reality—this mosaic of concerns, ideas, and dynamics—would lead us to an objective identification of true convergences of interests upon which effective multilateralism may be developed. The current level of instability in our region has instilled more pragmatic behavior into all stakeholders, along with the understanding that more needs to be done in order to protect our citizens, our way of life, and our legitimate interests. It is at times of adversity that states and societies come closer to seek shared solutions. This could, in essence, provide the political push for effective multilateral cooperation on security issues.